A decision on the future of Wallabies coach Michael Cheika should be "wrapped up" by Christmas after he presented his end-of-year review at a Rugby Australia (RA) board meeting, according to chairman Cameron Clyne. 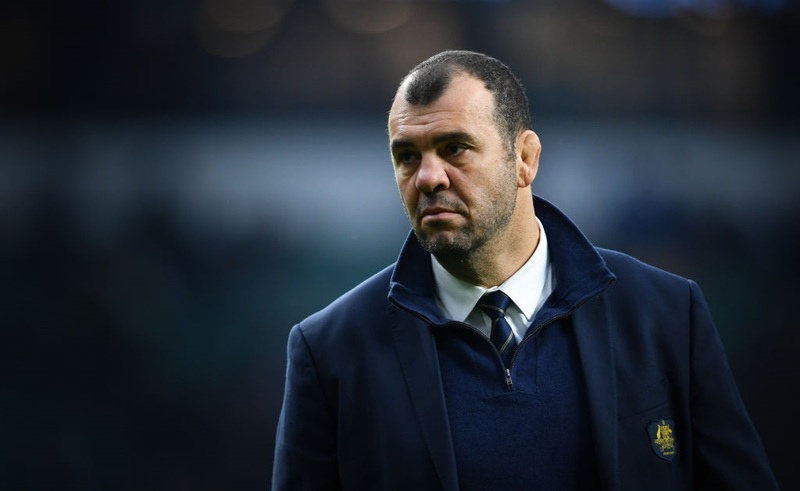 The 51-year-old Cheika's future was clouded after a tumultuous year for the Wallabies, who won just four of 13 tests and showed little sign of improvement a year out from the Rugby World Cup. "We received a presentation from Michael Cheika and we are going through a process so I'm not really in a position to elaborate," Clyne told reporters in a short media conference in Sydney on Monday. "We have had the presentation from Michael, some data gathered from him, his coaching staff, the players and our high performance unit. "We need to go through a fairly thorough review process and we have all the information we need so we will be going through that process. "I know people are keen to know what is going on but... we will have more to say and have that process wrapped up ahead of Christmas." Cheika's tenure began in late 2014 after Ewen McKenzie resigned and he guided the Wallabies on a surprising run to the 2015 Rugby World Cup final. The side, however, failed to build on that initial success, and have won just 17 of their 42 games since with an overall record of 28 victories in the 58 games during Cheika's four-year tenure. Cheika has consistently said that despite the team's troubles they would turn the corner ahead of the World Cup, where they have been drawn with Wales, Georgia, Fiji and Uruguay in Pool D.
Both defence coach Nathan Grey and attack coach Stephen Larkham have been criticised for the side's failure to score points, and stop them from being scored, while their scrum and lineout disintegrated on several occasions.